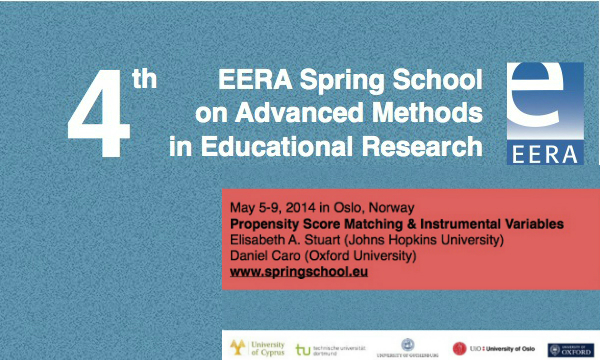 The 4th Spring School on ‘Advanced Methods in Educational Research’ will be held May 5-9, 2014 in Oslo, Norway. The title of this year’s spring school is Propensity Score Matching, Instrumental Variables, and Design Issues (computer labs with R). Deadline for application is 25th February 2014.